← How I Stumbled Into Math Modeling Without Even Realizing It. This entry was posted in Algebra, High School. Bookmark the permalink. EXCELLENT! Coincidentally, I started with this same strategy with solving systems of equations today. 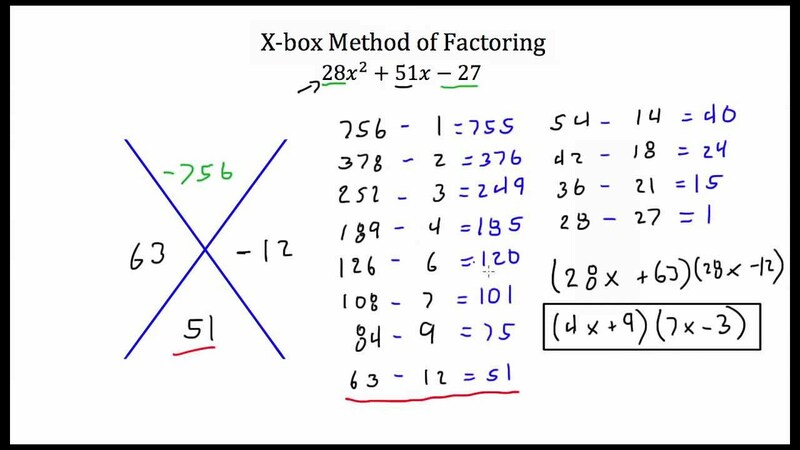 My students are finally comfortable with struggling, and I envision a factoring lesson much the same way! Thank you for sharing. And yes, this is a lot of work because I, too, run around like crazy, checking in on the various groups in various states of understanding. I loved it! Thanks for the share. So many great opportunities to let students personalize their learning experiences. This is fabulous, as always, Bob! Think about the perspective of the student (who made the comment may be bothered by). Students have been raised by teachers who mostly, with all good intentions, spoonfed them knowledge. So often, teachers do the most work, thereby, are the best learners in the room. Your students were given a task far outside their educational comfort zone. They had to persevere think, work, explore, and gather information. All actions teachers tend to take for their students for time and we don’t always know how else to do this. Thanks for sharing this Bob! It takes a tremendous amount of time and prep to “not lecture” and you are correct that students will often comment that they miss the lecture. We’ve programmed them to expect the “lecture” so they feel as though you are short changing them when in reality you are giving them wings to fly! Agree about the prep time. Received a few twitter comments which share the sentiment that “teaching” this way requires so much more time to be ready. But worth it. Well done! Great way to encourage students to learn how to learn, possibly the major goal of education. This will serve them well. Lots of positive response from your students, too. Question: Did you get any feedback from your principal? The parents? How did that go? My admins are very supportive – some have shared this post or provided positive support on twitter. No feedback from parents, but not surprising as the grades were so good this time around. This was great to read! I think a lot of people are unaware of the amt of work (and yet the wonderful benefits) of flipping like this. Do you teach this class by yourself or with a team? I’d like to do more of this with my Alg 2 kids but my content team isn’t quite ready to do that yet and I have to give them some time to adjust to something like this (at least I got them on Desmos!). Curious if your fellow teachers do this as well and if not how might you get them on board without completely taking them out of their comfort zone? I teach this course alone. I have a few department members who are interested in thinking about class differently, and many friends i other departments who I share ideas with. But of course I also have a fair share of colleague who are comfortable in traditional methods; to those I can only present my experiences and hope they rub off. Thanks for sharing this experience Bob! I love the idea of letting the students struggle with learning in their own way. It makes the reward so much more valuable, and students are much more likely to remember what they’ve learned in my opinion. How did you know the students would take to this teaching technique so well? Was this a risk, or did you know your students well enough to hope they would respond this way? I’m curious because when I was in school, I would have thought, “Well if he doesn’t care about teaching us, why should I care about learning this?” And I really enjoyed math at the time! It’s fortunate you don’t have students as stubborn as I was! They didn’t all enjoy it at first. Many would clearly have been more comfortable with my lectures. But as the week progressed I saw more and more buy in -students explaining what they had learned and supporting each other, rather than just waiting for me to let them off the hook. The key will be in providing more experiences like this and creating a culture where students accept their role in the learning process. This type of self-discovery seems to work well for the topic of factoring, especially with how integral it will be in later topics in mathematics. I know in my own personal experience that when I had to teach myself something, after struggling for some time with it, that when the discovery is actually made it sticks with me more than simply being taught it and learning it for an exam. 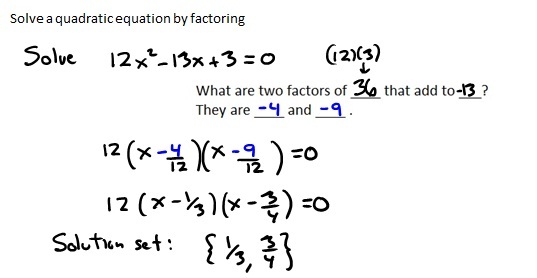 I tutor at my college and when factoring comes up, even in a differential equations class or a linear algebra class, many students do not remember, or at least struggle, with the topic. For these reasons I really like this approach, especially on this topic.